Tiger Moth G-AFWI, known in Dad’s log book as BB814. Photo courtesy of owner Paul Harvey. She is in her pre-war livery. 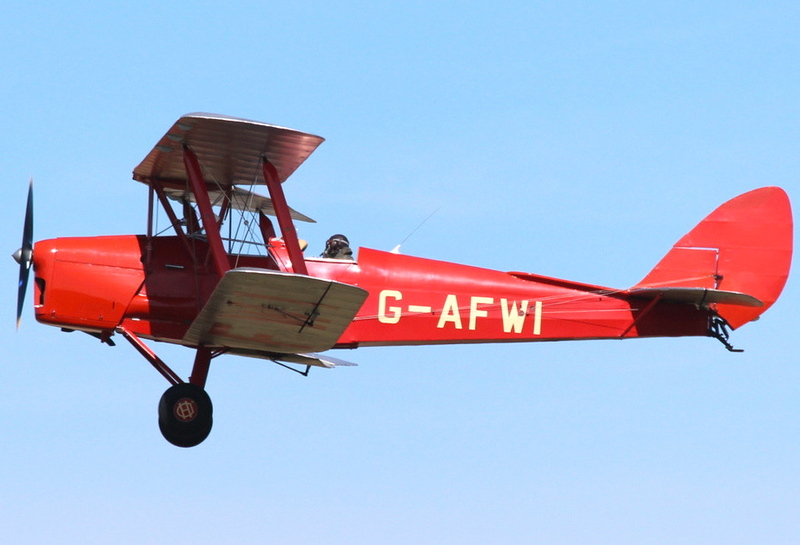 Of course the big disappointment for me and my cousins was the fact that the Tiger Moth, G-AFWI/BB814, in which my father learned to fly, was not able to be flown over from Norfolk by its owner Paul Harvey because of the bad weather. My brother Andrew, who lives in the States, was also unable to get over for Pre-War Prescott, though he would absolutely have loved to see the Tiger Moth. Also rained off from the event were my father’s two step-brothers, Derek and Chris, and their wives, and Harry Birkner, a relative on our Grandmother’s side, all of whom were aiming to join us for today. However, we’re hoping that we can meet up with Paul and the Tiger Moth sometime next year, and if Andrew can get over at the same time, that would be fantastic. I will now work on the schedule for next year and see what we can come up with. All heartfelt thanks to Ian Grace of Pre-War Prescott and for Paul Harvey for attempting to make this dream possible – we still hold out for next year!